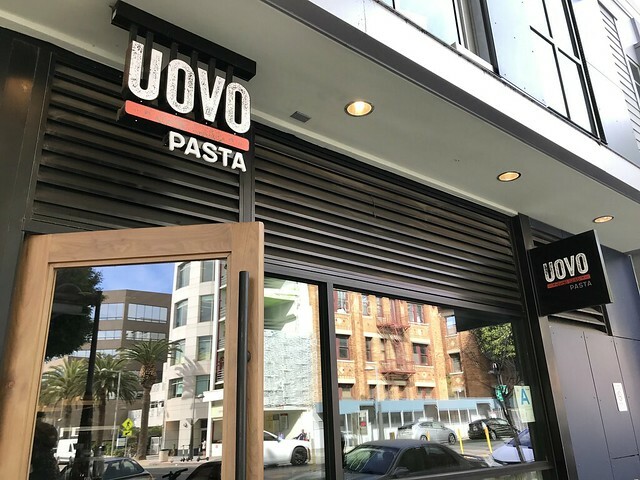 Those who say that dried pasta is just as good, if not better, than fresh pasta must not have dined at Uovo in Santa Monica. To experience the suppleness of their tagliatelle noodles is a sensory pleasure that heightens your eating enjoyment. Uovo, which means egg in Italian, serves fresh pasta made in Bologna, Italy, where their eggs yield a richness in both color and taste. Brought to you by the team behind Sugarfish, Uovo’s streamlined approach ensures that you are in and out quickly. There are no starters and desserts, the menu limited to pastas and a few vegetables sides. They do have alcohol, should you desire wine with your meal, but it’s not a place to linger for hours. 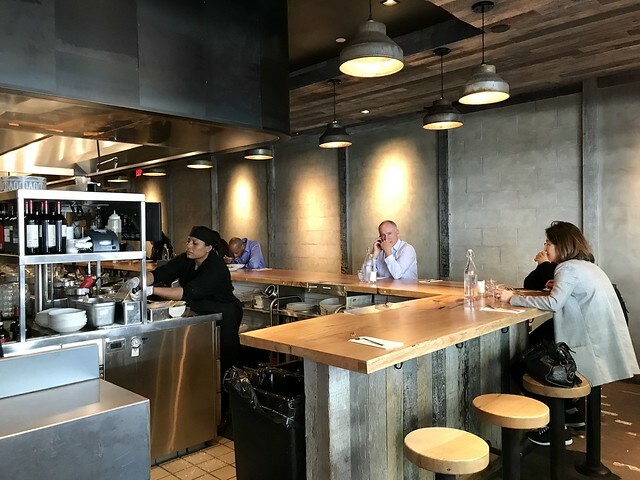 Most of the seating is at the counter of the open kitchen. 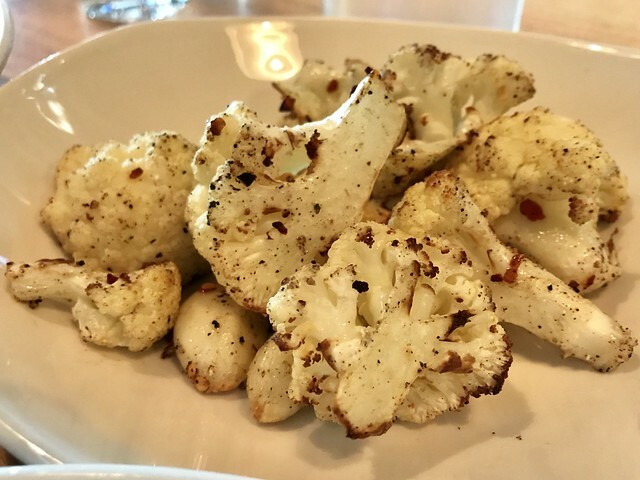 During Dine LA, Uovo had a $15 lunch, which included cavolfiori al forno – roasted cauliflower with red chili pepper. I love cauliflower and cook it often so I was a bit disappointed to find that this one did not have much flavor other than the slight char on the cauliflower and some heat from the chili flakes. It needed to be roasted a bit longer to yield to that wonderfully browned caramelized texture. 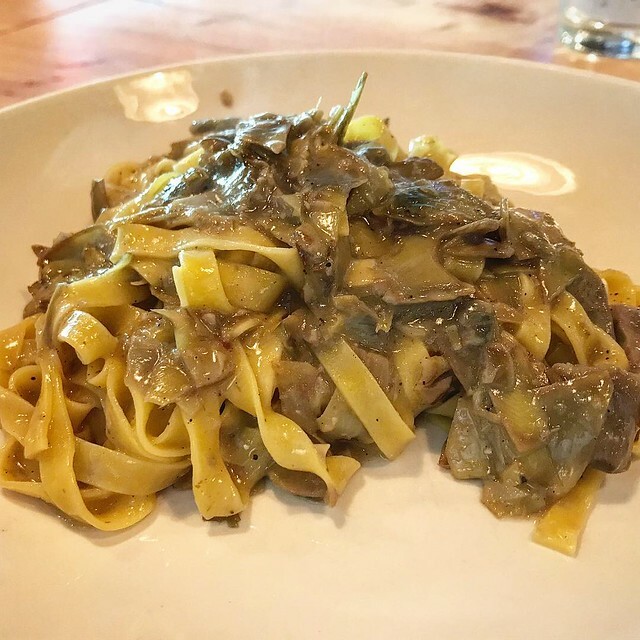 The Tagliatelle ai Carciofi (with fresh artichokes) exceeded my expectations. The artichokes were savory enough to even satisfy a carnivore. 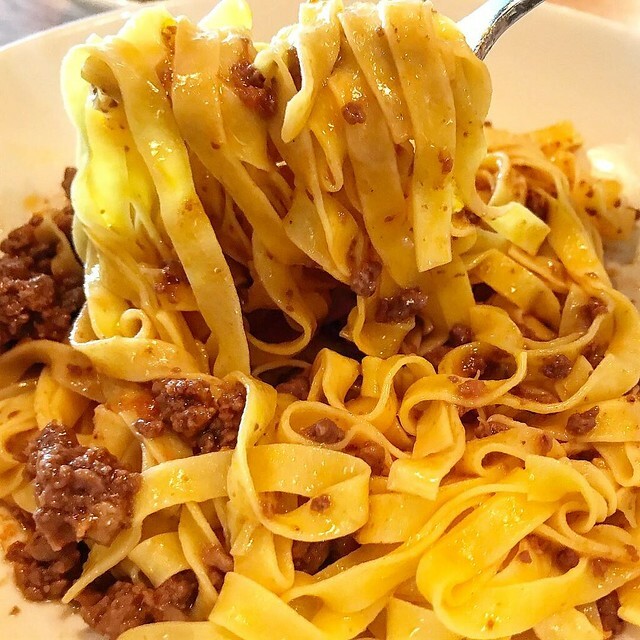 Speaking of carnivores, the Tagliatelle al Ragú had just a light coating of meat sauce on the noodles, true to its Italian roots. In both dishes, the restrained use of sauce served to highlight the slippery tagliatelle. Before we knew it, our meal was over, as there were no desserts to consider. To make things even easier, Uovo applies a standard service charge, so tipping is not allowed. Thanks to their simplified approach, even though the pasta is flown in daily from Italy, the prices at Uovo remain fairly reasonable. 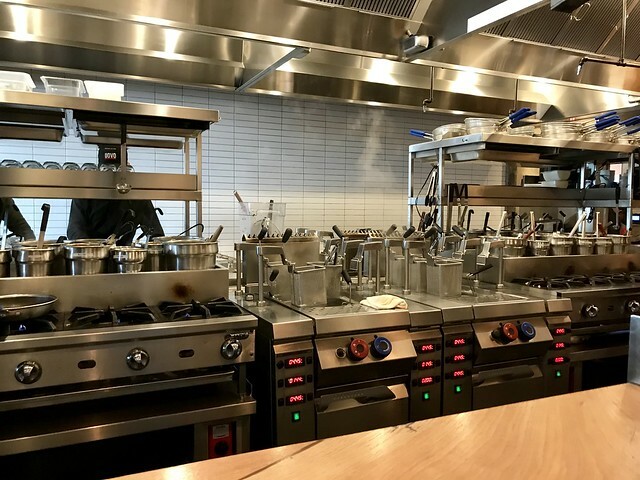 In a time when many are avoiding carbs/gluten, it’s a delight to have places like Uovo, where one can still celebrate the sheer beauty of pasta. It’s totally worth the carb splurge. Vegan/Gluten-Free Options – Only sides.